The running of the Bulls has come to an end, but the action in Pensacola Bay is far from over. 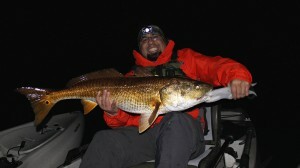 The fish are still schooled up & feeding aggressively. 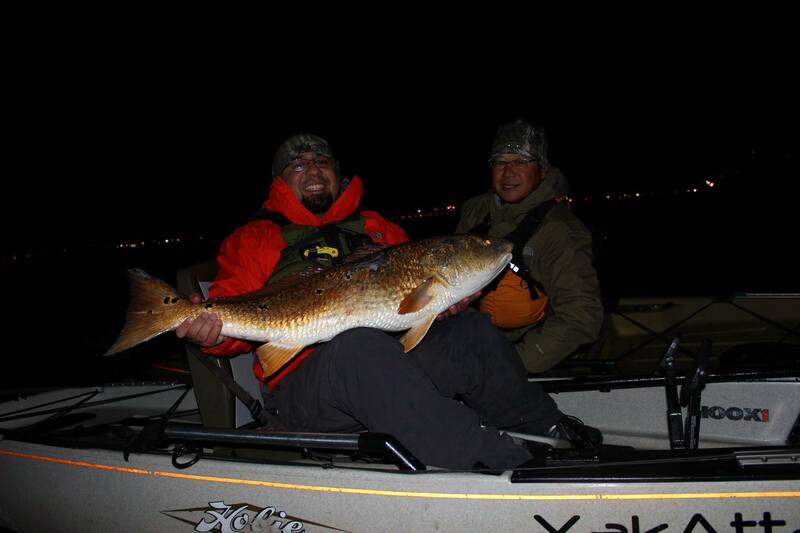 Andrew from Sacramento with his first ever kayak fish caught deep cranking. 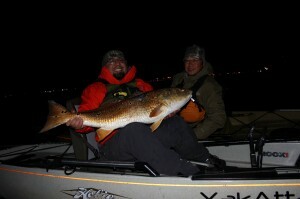 Ray with his first ever kayak fish. 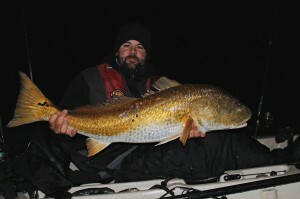 Andrew had one goal, to top his previous personal best 27″ redfish. We crushed that by over a foot. 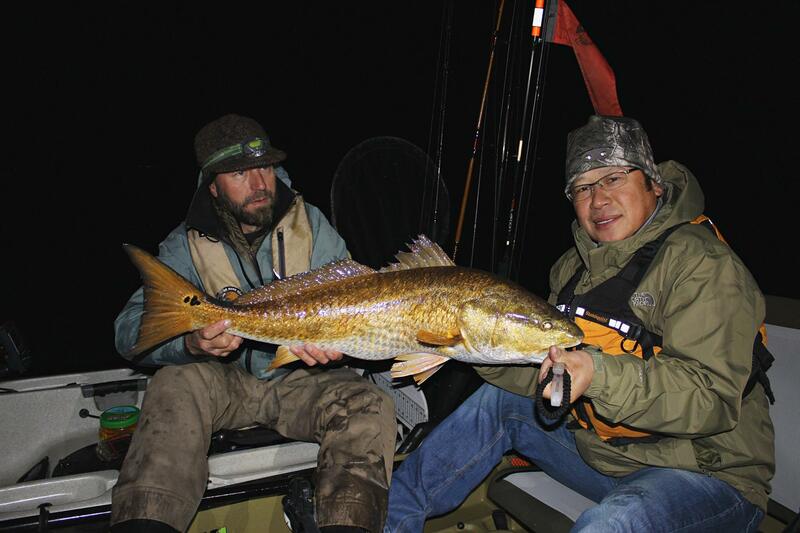 A couple nights later the fish were on top & we caught them sight casting weightless Hogys on Owner circle hooks & the Fatback Herring Greenback. Brandon with the fish of the night. 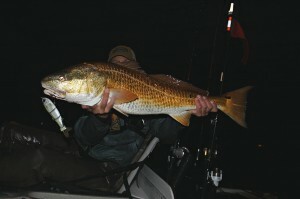 If you are interested in catching some giant Bull Reds, let us know. We would love to put you on them!